I just wanted to thank you so much for all your hard work in making our dresses fit perfectly! I couldn’t of been more happy with my dress, you made it look as if it was made for me! And all the bridesmaids looked lovely. I am so glad I found her. Her needlework is fantastic and so professional it didn’t look like my dress had even been altered! She also made me a gorgeous lace bolero to wear which had a cut out back and sewed some buttons on to my sash to tie it into my dress. It was just simply stunning. I can’t thank Jane enough for making me at ease and doing such seamless alterations on my dress. The fact that she came to my house, made the whole thing relaxed and fun and fitted in with hectic wedding planning. Would recommend her without hesitation to anyone! 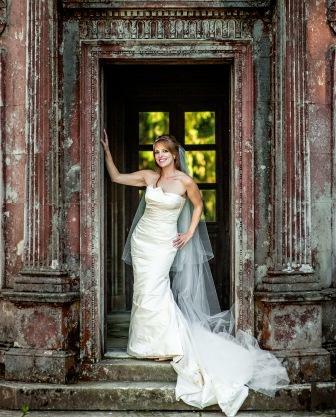 Jane did an absolutely amazing job on my Justin Alexander wedding dress, taking it down from a size 14 to a size 10. It fitted perfectly on the day! Jane was very professional, efficient and extremely friendly. Jane was calm and reassuring and very capable. She don’t blink at our ideas for adapting my daughter’s wedding dress, which she did superbly. She was knowledgeable about sourcing some beautiful French lace for an overlay and took great care to ensure the fit was perfect. 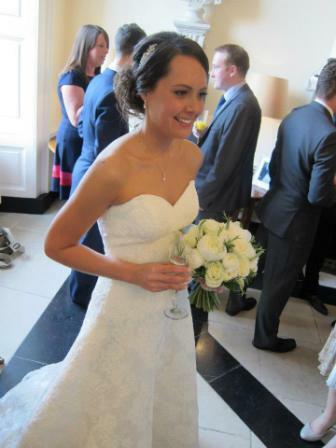 Jane helped us to realise the dress my daughter dreamed of. I would recommend her highly. I’d like to thank you again for all your help, fantastic craftsmanship and for genuinely just being so lovely to work with. Everyone commented on how lovely the dress and the bolero were. It all fit beautifully and the bolero, in particular, was just beautiful, exactly what I wanted. 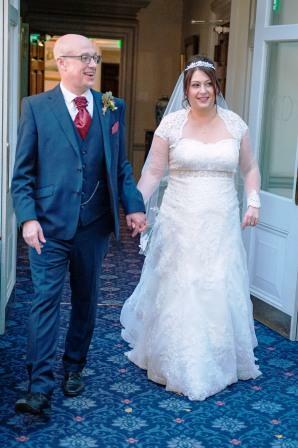 The tailor’s tape was a fantastic tip as well, kept the bolero in place until I was ready to remove for the reception 🙂 I can’t thank you enough. I wish you all the best in the future and will definitely keep you in mind if there’s any further alterations or creations I require! I just wanted to say a massive thank you for all the work you did on my dress. It fit perfectly! As you know, I was slightly concerned with it being strapless that I might have to be cautious of it slipping but I didn’t need to adjust it all day – you worked magic! Please let me know if there’s anywhere I could leave a review, I would love to help other brides find you because I couldn’t recommend you enough. I have attached some pictures so that you can see the dress in action! Thank you so much for all your efforts on my dress. 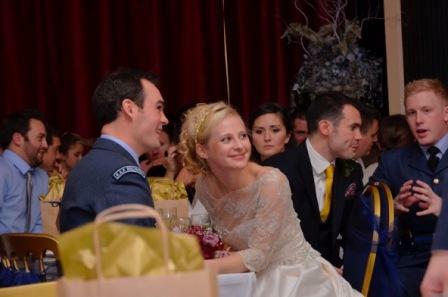 You did a wonderful job and my favourite bit about the dress…. the sleeves. I loved the dress but always wanted sleeves and when you said you could put some on, you made me one very happy lady. As we mentioned when we met, I had been to someone else to look at the dress and she was awful and made me have such regrets about buying the dress that I loved. When I met you and you had a look at the dress you put me at ease instantly and nothing bothered you or was too much trouble. Thank you so much. Jane’s service was quick and efficient, and the girls had a great deal of fun during the fittings with her. 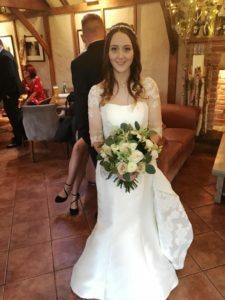 She was professional and courteous and we are really pleased she was able to help us fit the bridesmaid dresses – they all looked perfect on the big day. 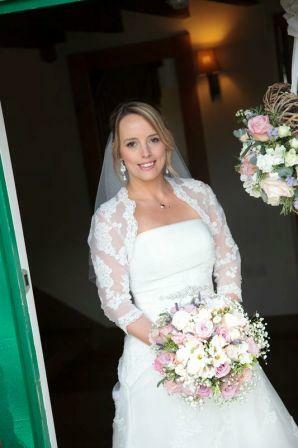 We only needed one fitting and the dress fitted absolutely perfectly with no further alterations required. She came to my house which made it really convenient and to top it off she is really lovely as well. Jane made the whole experience much easier and less stressful than I expected. Jane was recommended to me through NJBride, and I can’t rate her highly enough. 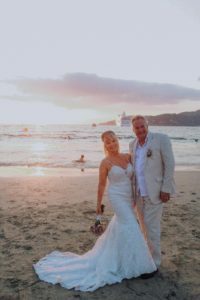 She listened to everything I was worried about regarding my wedding dress and made the perfect alternations so it fitted me like a dream. Jane also took care of the bridesmaid & flower girl dresses – not an easy task with an excitable 4 year old in a princess dress! 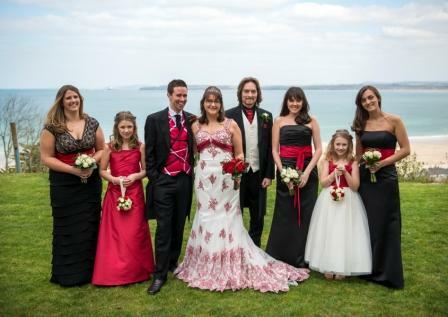 Since my wedding I have used Jane to alter a bridesmaid dress and she has altered a few of my sisters party dresses. I would thoroughly recommend Jane, not just because of the incredible work she does but because she was so calming at such a stressful time. Jane did a fantastic job altering my five bridesmaid dresses, she was very friendly and made the experience completely stress free! I would definitely recommend her the dresses were a perfect fit on all the bridesmaids. 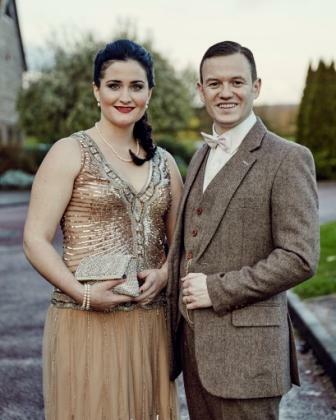 My wedding was on the 31st May at Horsley Towers, and you very kindly did my dress alterations for me. I just wanted to write and say thank you so much for all your hard work. 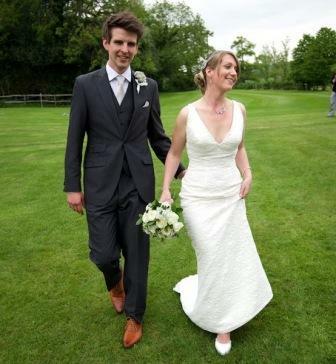 I got so many compliments on the day – people were saying how gorgeous the dress was, and how it fitted me perfectly. Nobody could have guessed that I’d bought it second hand! I’m so grateful for all the hours you must have spent on it, thank you so much! 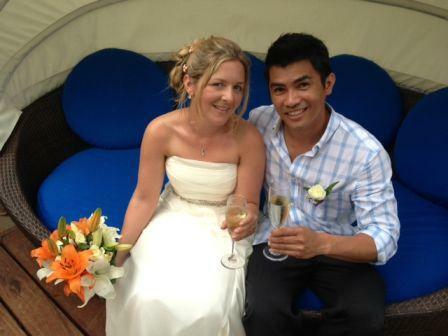 A huge thank you for helping to make one very happy and relieved bride. You did a beautiful job on Beth’s dress, and were a model of patience and helpfulness along the way. Thank you again, and the very best of luck for your continued successful business enterprise. I cannot thank you enough for the incredible work you did to my beautiful wedding gown and bridesmaids dresses. The whole process from start to finish was easy and you were not only super fast to respond to my queries but made us all feel at ease on the day. 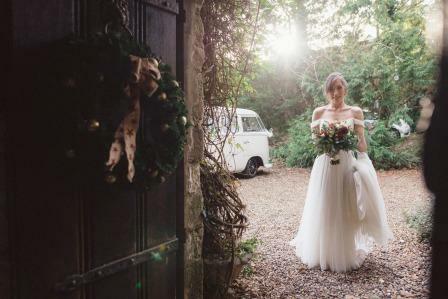 I couldn’t believe it 5 days later when I got your email saying my dress was ready – your work was seamless and the finish was as if it had just been made! I was told to allow 6 weeks for alterations and in less than one week my dress was done. Being a wedding coordinator myself I was thrilled to find a seamstress after years of searching for a reputable one and here you are! Very pleased that I found you to alter my wedding dress, the mother of the bride dress, and bridesmaid dresses! Everything was perfect and it was also so helpful that you were able to come to my home to fit us all (which was so much fun!). 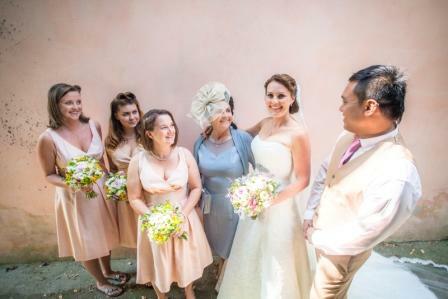 I would like to thank you on behalf of myself, Winston and our bridesmaids for the amazing work you did on all of our dress’ especially with me losing 9″ off my body, I gave you a lot of work to do yet the dress after you altered it fitted perfectly!! I will send you pictures of us all very soon! She successfully transformed my wedding dress from a size 14 to a size 8 and reduced the length of the rather substantial train. She then set about making my poorly articulated dream of ‘sleeves’ a reality with a stunning made to measure lace bolero. Descriptions do not do it justice, it is literally the most beautiful thing I have ever owned and I fully intend to wear it again. From our very first meeting Jane made me feel completely relaxed about my ideas and requests with her positive and capable attitude. It was like meeting up with an old friend when she came to do the fittings and choosing the lace (from the 1000’s of available options) was really great fun. I kept saying ‘all of these are lovely can’t you just pick one for me’ and then half way through the final sample book we turned a page and there it was – the perfect lace to complete my perfect party dress! From the moment I first made contact with Jane, I knew I had found the right lady for the task. I’d been told by an ‘expert’ in a wedding dress shop that the wedding dress I’d purchased would be too tricky to alter. Jane soon put my mind at rest, we exchanged photographs and advice in relation to the dress and Jane agreed to come over to view it and confirm that alterations could be achieved. We then booked in a fitting and the whole process was flawless. Not only is Jane incredibly skilled and talented in her field, she is also a really nice lady to work alongside. I have since recommended Jane to one of my close friends who is getting married this Summer. I described Jane as ‘the best and only person to use’! I hope you are keeping well, I can imagine you are extremely busy with wedding season in full flow!! 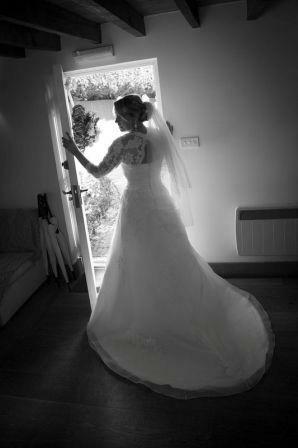 I just thought I would send you a couple of pictures of my wedding dress in all it’s glory from my wedding in May! It fit so beautifully and it did make my husband cry when he saw me! So thank you for all your hard work on it, it really was the most amazing dress and altered to perfection. I’m finally getting around to sending you a few pics of my lovely dress you perfected for me. 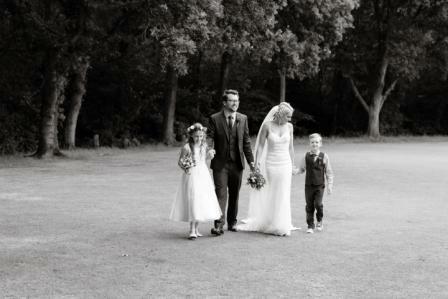 We had a fabulous day, my dress behaved itself, even held me in place when I had a turn on the bouncy castle! The alterations stopped the straps digging into my shoulders, so even though the dress was quite heavy after wearing it all day, there were no marks on my shoulders at all. It fit me like a glove and I didn’t want to take it off! Sorry it has taken me so long to send you some pics but I really did hit the ground running when we got back and don’t seem to have stopped working! 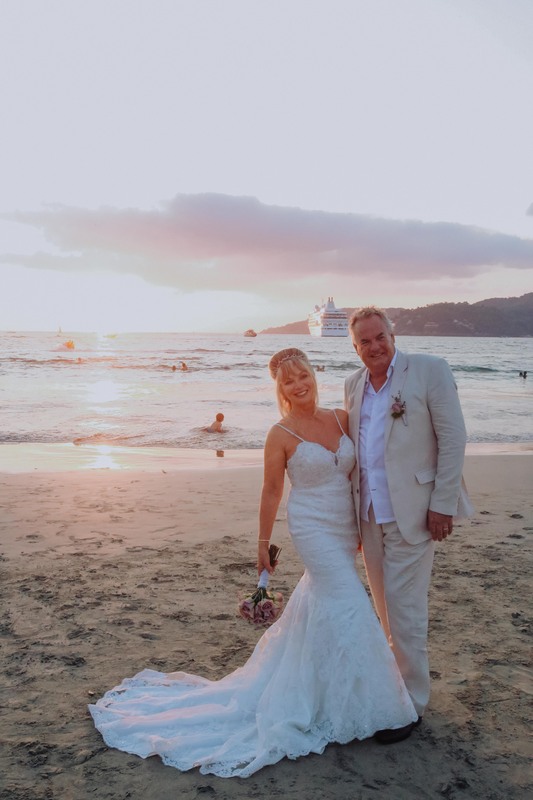 We had the most amazing time, the dress was perfect in every way, the hairdresser onboard made my hair look amazing, the wedding went completely to plan and we found 2 witnesses on the ship who were brilliant! We couldn’t have asked for more. All the hours of hard work you put in on the dress to make it a perfect fit were the icing on the cake! I put a little bit of weight on but it still fit me perfectly and everyone commented on how beautiful it was. It was perfect for the beach wedding and doesn’t have a mark on it! 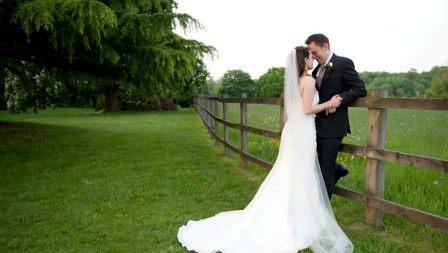 Thank you again for your expertise and hard work in making my dress the perfect fit!